We value integrity and never compromise, we care about always making a positive impact on people. Our innovative treatment for chronic lower back pain relief--whether from herniated discs, pinched nerves, degenerative disc disease, or sciatica--has helped more than 23,000 patients.. So, if you've been in pain too long, take medication multiple times a day, have tried cortisone shots, epidurals, nerve blocks, traction, stretching, exercises, lotions and potions, and have seen Doctor after Doctor who've not been able to help you end your pain - Don't give up we can help you get back to your life. A fully established, advanced, non-invasive Spinal care centre like no other - with cutting edge, non-invasive innovative treatments. Helping patients heal permanently from spine problems. 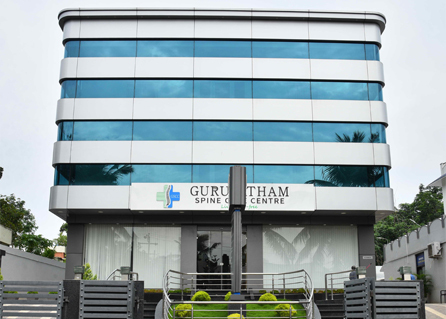 Established in 2007 by Dr.B Robin Guru Singh, Gurupatham Spine Care Centre focuses on non-surgical solutions for spinal problems like disc prolapse, back pain, neck pain, spondylosis etc. 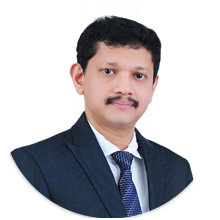 All staff members of Gurupatham Spine Care Centre are licensed professionals. Our goal is to provide every individual who suffers from back problem a permanent solution that is non invasive, drugless. We do this with the help of technology to diagnose and create precise treatment solutions. Most of the time, hospitals only have a solution of surgery to solve most back problems, and success rates of this are not guaranteed. At our centre, we have consistently ensured a high success rate, and use methods that are more complementary to the innate body systems. We use technology to complement and correct the problems in the spine, even in cases of disc prolapse etc. It gives us immense satisfaction to provide this successful solution to our patients. And the smile that we see on their faces is the most genuine encouragement that boosts our energy and commitment to continuing this journey.